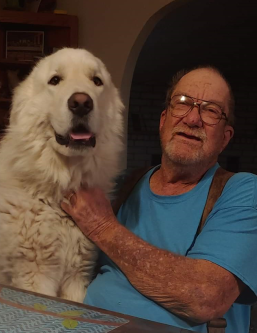 Joseph Elbert Whygles, 66, of Milliron Road Carlsbad, New Mexico passed away on Thursday, March 28, 2019 at University Medical Center in Albuquerque, NM. Joseph was born on June 1, 1952 in Carlsbad, NM to Cliffard and Cathrine Whygles. Later, Joseph met Juanita Dominguez and they got married on August 5, 1989, in Carlsbad, NM. Honorary pallbearers are: Adam Martinez, Angel Martinez, Anthony Corrales, Cody Whygles, Dominque Dominguez, Donald Martinez, Dylan Wood, John Whygles, Justin Wood, Nathan Martinez, Timothy Martinez, and Tony Hunter.